Donatas Motiejunas and Miroslav Raduljica starred in a Europeans “bigs” battle in China. 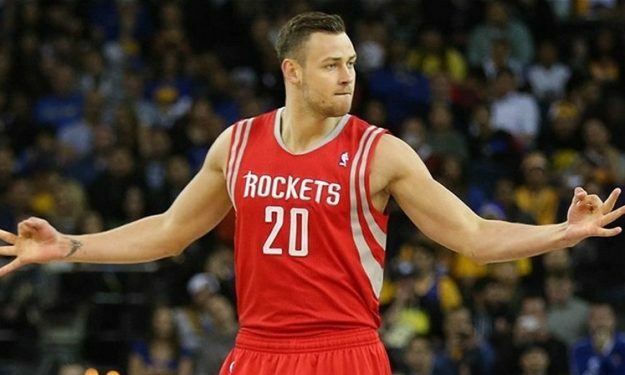 Donatas Motiejunas led Shandong Golden Stars to a 100-82 win over the Jiangsu Dragons. He finished the Day 9 game of CBA with 24 points, 25 rebounds and six assists. Miroslav Raduljica scored 20 points and grabbed 14 rebounds for the losing side. Taylor Rochestie’s 20 points and 14 assists weren’t enough for the Tianjin Gold Lions who suffered a 123-110 loss in the hands of Shanghai Sharks. Jimmer Fredette went off for 38 points with seven three-pointers and Luis Scola added 30 points for Yao Ming’s team. Eugene Jeter had six points in Fujian Sturgeons 121-107 to Shenzhen Leopards, while Sonny Weems led the Guangdong Southern Tigers to a 125-110 away win against the Guangzhou Long-Lions. In other action, Nanjing Monkey King beat the Shanxi Brave Dragons with 98-97.